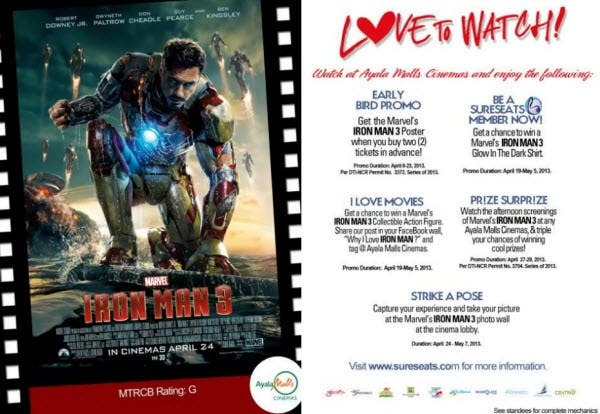 Marvel's “Iron Man 3” debuted yesterday (April 24) to a whopping P62.6-million – the biggest first-day gross ever in Philippine history, foreign or local film, breaking the record of "Spider-Man 3" in 2007. This was announced today by Victor R. Cabrera, Managing Director of Walt Disney Studios Motion Pictures Philippines, which distributed the movie. The third “Iron Man” installment surpassed the opening day record of “Spider-Man 3” at P58-million which was achieved on a May 1 Labor Day holiday back in 2007. “Iron Man 3” now also owns the biggest Wednesday gross ever in history, the biggest Marvel/Disney opening day ever, beating “Marvel’s The Avenger’s” record of P56-M last year. 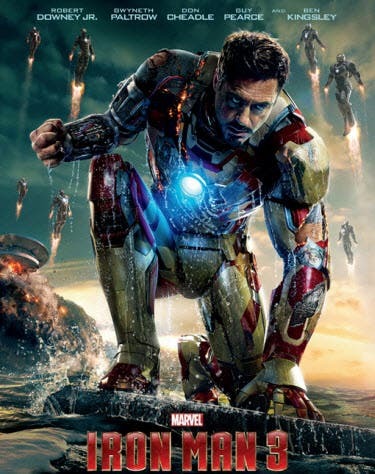 Marve/Disney projects “Iron Man 3” to continue doing outstanding box-office business towards the weekend. 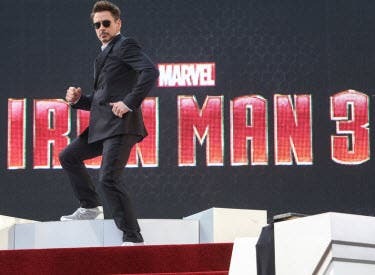 Based on the ever-popular Marvel comic book Super Hero Iron Man, who first appeared on the pages of “Tales of Suspense” (#39) in 1963 and had his solo comic book debut with “The Invincible Iron Man” (#1) in May of 1968, “Iron Man 3” returns Robert Downey Jr. as Tony Stark, the iconic Super Hero, along with Gwyneth Paltrow as Pepper Potts, Don Cheadle as James “Rhodey” Rhodes, Guy Pearce as Aldrich Killian, Rebecca Hall as Maya Hansen, Jon Favreau as Happy Hogan and Ben Kingsley as The Mandarin. Now playing across the Philippines in IMAX 3D, Digital 3D and regular theatres, “Iron Man 3” is presented by Marvel Studios in association with Paramount Pictures and DMG Entertainment. The film is distributed by Walt Disney Studios Motion Pictures.